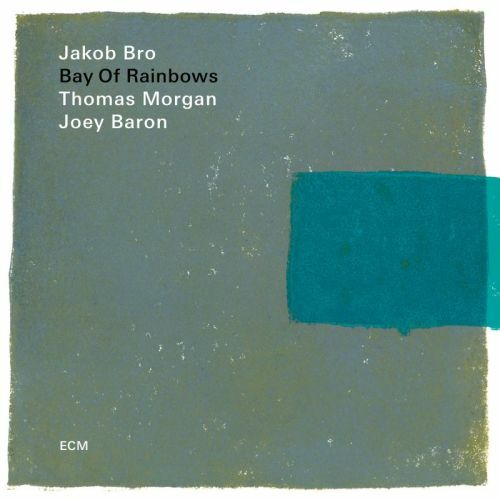 This is Danish guitarist Jakob Bro’s third trio album for ECM and the second with Thomas Morgan on double bass and Joey Baron on drums (its predecessor is 2016’s Streams and Jon Christensen was the drummer on the first, Gefion, in 2015). 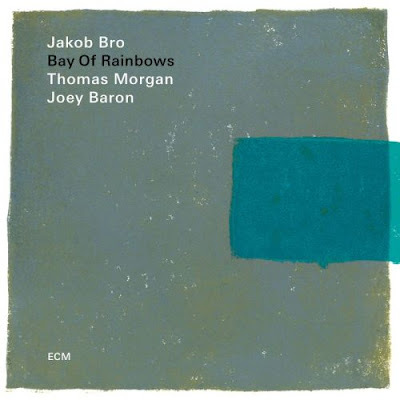 Bay of Rainbows reprises tunes from earlier in Bro’s extensive recording career and is his first live album for ECM, captured at the Jazz Standard in mid-town Manhattan in July 2017. The band’s calling card is its ability to sustain its very own particular kind of quiet storm. The melodic content is often pared down though not short of charm, even prettiness, and this songlike style is shared between all three musicians. They weave in and out, each sewing a distinctive line and produce a musical fabric which often has a gossamer intangibility, yet moves the emotions in a strangely deep way. Bay of Rainbows opens and closes with the same tune, called Mild – an apposite title for its gentle harmonious nature (any horses present would remain sublimely unfrightened) and yet, both in its opening version and its closing, longer, more discursive variation – which gives Morgan a more prominent role – it reveals new and more intriguing nuances with each listen. Copenhagen, the opener on Gefion, is another pretty piece with a charming melody line from Bro and intersecting counter melody from Morgan, Baron's brushes underlaying them – in the end it's Morgan who is left to round it all off. Here, the tune is the rose between the sharper, darker, thornier moods of Red Hook and Dug, the latter digging deep in a sometimes almost threatening manner. I realise I risk sounding like a stuck record, but Thomas Morgan really is outstanding in every band he plays in.